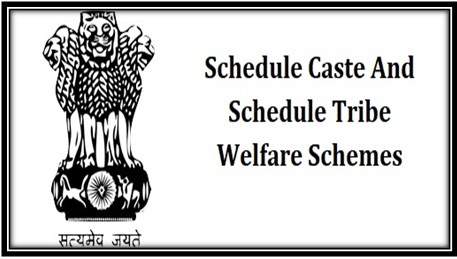 The central government has started two new web portals for the scheduled caste and scheduled tribe categories. These two portals will have all the schemes and the progress of the schemes for the SC/ST. the ministry would be able to check the implementation, allocation and the progress of the schemes allotted for the people belong to scheduled caste and scheduled tribe in the nation. The portal http://e-utthaan.gov.in has launched to make the people know about the schemes started for them. Besides the full information regarding the scheme, they will also be able to know about the funds and benefits of the schemes. There are total of 506 schemes for the SC and ST communities in India. Among them 233 schemes for the SC category and the rests are for the people belonging to ST category. Total of 26 departments have launched these schemes. Along with the government officials and ministries of respective departments common people belonging to these two categories will be able to see the money allocated for various schemes in these portals. They will be able to see the progress and implementation as well. The central government and the respective ministries will be responsible for updating the site time to time with every progress. All the details and the information must be updated with time and date in the portal by the government. Total budget for the schemes (SC) is Rs. 52399.55 Cr and the budget allocated for the schemes for STs is Rs. 31919.51 Cr. All these information will be available in the portal for the common people. Percentage share of SC/ST schemes in Central Sponsored Scheme is 20.20% and the percentage share of SC/ST schemes in Centrally Sector Schemes is 10.74%.